synopsis (EN) This was gonna be a full game mod that anyone could run using Riivolution, a game patching application that requires no hacking or modding. 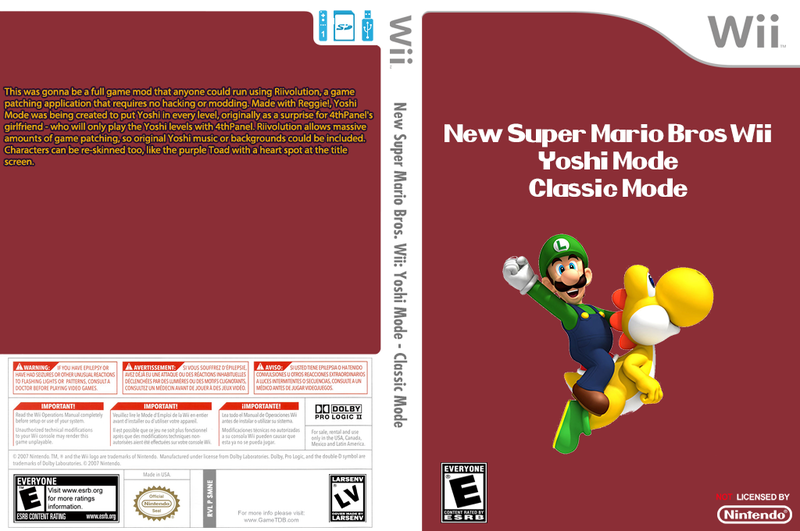 Made with Reggie!, Yoshi Mode was being created to put Yoshi in every level, originally as a surprise for Darkly77's girlfriend - who will only play the Yoshi levels with him. Riivolution allows massive amounts of game patching, so original Yoshi music or backgrounds could be included. Characters can be re-skinned too, like the purple Toad with a heart spot at the title screen.